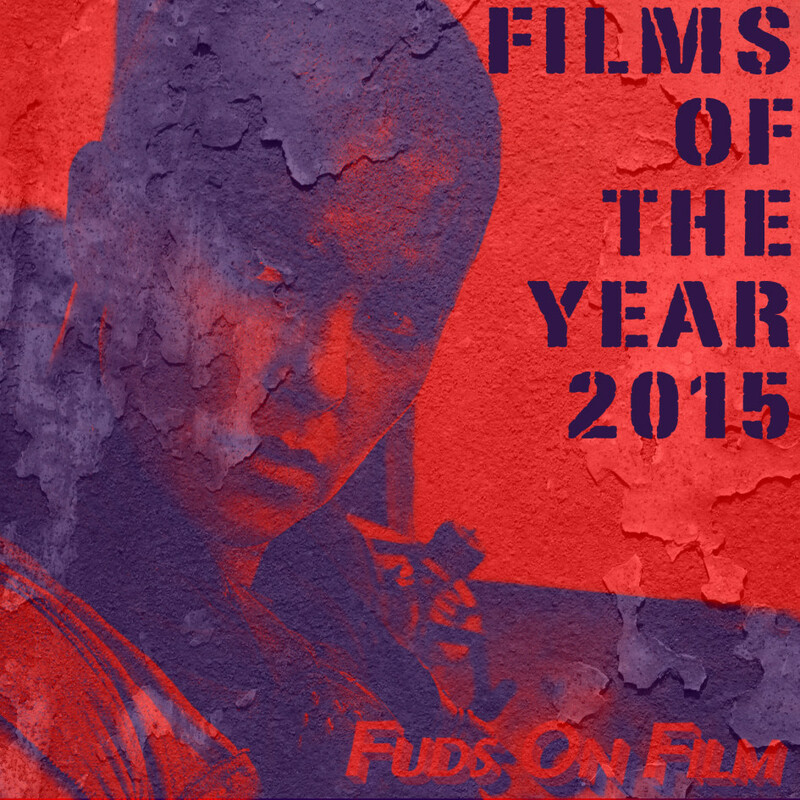 As another year draws to a close, we take the extraordinarily innovative step of reflecting on the best films of 2015. Join us to see what floated our boat, what got our goat, what spooked our stoat, and what fleeced our coat. Or, well, the films part of that. Not sure what the deal is with the stoats. Probably shouldn’t have mentioned it. Quite confusing for everyone. Bridge of Spies provides a welcome cinematic return to the Cold War, as Tom Hanks takes the role of first defending a captured Russian spy in a charged show trial, then negotiating his exchange for a downed American spy plane pilot. An exquisitely crafted and scripted intelligent drama, perhaps unsurprising given the writing and directing team, and has a solid claim at being Hank’s best performance. It also manages to do a great job of explaining the virtues of the American ideal without becoming jingoistic, and describing the delicate geopolitics of the Great Game without drying up to a boring husk. Deftly done. Ant-Man sees the Marvel universe taking its occasional light-hearted look at itself, after the surprisingly stodgy Avengers II: Avenge Harder. Paul Rudd provides a more likeable and engaging lead character performance than anyone in this sort of thing since Rab Downey Jr, the script provides some amusing moments and the nature of the shrinking gimmick makes for more innovate CGI work than we’ve come to expect from Marvel’s production line mentality. Sicario follows a pair of young FBI agents drawn into the murky, CIA-infested waters of the border wars between US law enforcement and the Mexican cartels. While there’s not a weak element in the film, the most remarkable thing is the incredible tension it manages to build before its stunning set-pieces, in part by an incredible, pulsing, driving soundtrack. Ex-Machina busts out the science fiction, looking at the problems inherent in creating an artificial intelligence without vanishing down the Terminator rat hole. Great performances, assured direction and a radical assumption of intelligence on the audience’s part rewards those who prefer their sci-fi flavoured with paranoia and inquisition more than explosions and effects. Black Mass sees a welcome return for Johnny Depp the actor, as opposed to the gurning buffoon that has been his bread and butter of late. He’s effective in this look at the life and crimes of Whitey Bulger, Boston gangster turned FBI informant. Spy is a rather different kettle of fish to its be-bridged cousin, and makes no attempt to provide anything other than broad laughs in this affectionate hodgepodge of subverted spy tropes. Melissa McCarthy is great in the lead role, of course, but the supporting cast deserves plaudits too, particularly FoF favourites Peter Serafinowicz and a brilliantly unhinged Jason Statham turn. Mad Max: Fury Road provides the year’s best spectacle by a country mile, making most of its blockbuster competitors seem quaintly parochial in comparison. The effective blend of practical and CG effects work make this look quite unlike anything else, and it still manages to tell a better story, in a much more fascinating world, than its competitors despite featuring very little apart from car chases. We wonder if it provides quite the same punch on your home cinema system, but there’s been little to nothing like it in your multiplex in some years. The Martian sees Matt Damon stranded on Mars after a mission goes south, and follows his roughly scientifically plausible survival as he re-establishes communications with Earth and awaits a risky rescue plan. Based on the successful and enjoyable book, it’s successful and enjoyable for much the same reasons and is a hugely enjoyable yarn, with Damon’s charisma plastering over some wonky dialogue inherited from the source. Talking turkey for a moment, there’s a general consensus that The Interview failed to land any decent laughs, and would have been conveniently ignored by all were it not for the diplomatic kerfuffle it provoked. Similarly we reach a consensus that in promoting Fast & Furious 7 and Jurassic World to the top of the summer box office you were all, in fact, taking leave of your sanity. If you’ve been affected by any of the issues discussed today, please hit us up on Twitter (@fudsonfilm), on Facebook (facebook.com/fudsonfilm), or email us at podcast@fudsonfilm.com. If you want to receive our podcast on a regular basis, please add our feed to your podcasting software of choice, or subscribe on iTunes. If you could see your way clear to leaving a review on iTunes, we’d be eternally grateful, but we won’t blame you if you don’t. We’ll be back with you on the 1st as we discuss the work of David Lynch, but until then, take care of yourself, and each other.